What upgrades will be implemented? How do I determine which membership to choose? $70 - for individuals who would like to compete at the National or International level for Olympic, Paralympic or International Canoe Federation (ICF) disciplines (including Team Trials, Nationals, and International Competitions) This also applies to individuals who are ICF certified judges, officials and coaches. Once you have chosen the appropriate category from the list above, you will then be able to select your specific membership type during the next part of the online registration process. For example, if applicable, on the second screen of the registration process, you will be able to select your paddling club, competitive discipline, etc. Are there still discounts for Seniors (over 62) and Students (under 23)? Senior and Student membership rates are no longer available. The new Individual membership price is the same as the previous Senior and Student discounted rate. What are the Updates to Family Memberships? As a result of the feedback staff received pertaining to the confusion and challenges about adding spouses and children as sub-accounts, family memberships were removed. Each person now has their own $25 Individual Membership. Did the $5 Event Memberships change? The $5.00 Event membership remains unchanged for an insured ACA club, affiliate or instruction event. Did the $15 Introductory Memberships change? The $15.00, six month Introductory Membership is no longer offered. All memberships are now $25 for an entire year. What if I want to become a certified ACA Instructor? If you are interested in becoming a certified ACA Instructor, please choose the $25 Individual Membership type. Upon successful completion of your Instructor Certification Workshop (ICW), the National Office will then transition your currently selected membership type to the 'Instructors' membership type. Upon becoming certified as an ACA Instructor, there is an additional Safety Education & Instruction Council (SEIC) annual dues payment of $35. What if I am already a current ACA Instructor? Your current Instructor certifications, assessments and endorsements were not changed or altered during this process. When it is time to renew your membership, please select 'Instructors' as your membership type. Your annual SEIC dues ($35) will also show up in the payment processing screen. What if I am a current Instructor Trainer(IT) or Instructor Trainer Educator(ITE)? Your current certifications, assessments and endorsements were not changed or altered during this process. When it is time to renew your membership, please select 'Instructor Trainer' as your membership type. Your annual SEIC dues ($85) will also show up in the payment processing screen. 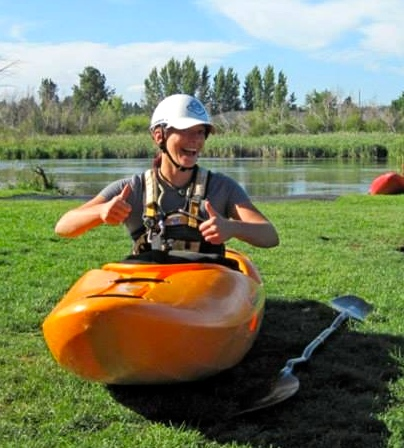 electronically sign their yearly waiver if they are a member of a Paddle America Club (PAC). In addition, during the join/renew process, Competition individual members will self verify that they are either currently in possession of, or within 5 days of joining, have the requisite certificates from the U.S. Center for SafeSport. For individuals who would like to compete at the National or International level for Olympic, Paralympic or International Canoe Federation (ICF) disciplines (including Team Trials, Nationals, and International Competitions) there is an additional Competition License fee of $45.The $45 Competition License also applies to individuals who are ICF certified judges, officials and coaches. *Do I have to be a Competition Individual Member to Race at my local race? No, as long as you are an Individual member or an Event member, you can participate in your local race. However, if you would like to race regularly, or at a team trials, nationals, or internationally, then you would need to be a Competition Individual member. What are the updates for Paddle America Clubs (PACs)? The three tiered membership structure for PACs that was based on number of club members has been simplified. All PAC membership fees are now: $125. As a result of the feedback staff received pertaining to the confusion and challenges about adding spouses and children as sub-accounts, PAC Family Memberships were removed. Each person now has their own $25 Individual Membership. During the join and renewal processes, PAC individual members will be able to electronically sign their yearly waiver online. We are also working on a process for club administrators to have easier access to a real-time, online club roster. Were there changes to the Outfitter, Livery & Guide (OLG) membership type? No, OLG membership stayed at $125. Do ACA Pro Schools still have a 3-tiered membership structure? There is no longer a three tiered structure of membership options. All Pro Schools are now $650. Revised Pro-School agreements will be posted online soon. What is the auto-renewal option? Any member currently set up with an auto-renew membership will have to manually renew their membership during the next renewal cycle. At that time, you can select the auto-renewal membership again, pay with a credit card, and next year your membership will once again resume auto-renewing. The auto-renew feature will automatically charge your credit card upon your yearly membership renewal date. If you choose this feature, it can be disabled at any time in your membership profile or by calling the National Office. If I select an auto-renew option, how do I cancel that auto-renew feature in the future? Login to your ACA account, go to the 'Manage Profile' page, then in the 'Invoicing, Payments & History' section, click on 'Memberships'. Click on the red X next to the future-dated invoice to remove the auto-renew feature. Please click here for a sample screen shot of this process. Or, you can contact the ACA Membership Department, and we can change your membership settings. What about my subscription to Rapid Media? If you have any additional questions, please contact the ACA Membership Department.